Cherry Hill, NJ, January 26, 2015: The Multiple Sclerosis Coalition’s (MSC) entire membership is providing support for bipartisan legislation to establish a data system to track the incidence and prevalence of neurological diseases, including multiple sclerosis. 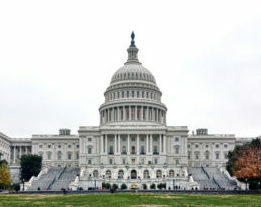 The bill, introduced in the U.S. House of Representatives by Congressmen Michael C. Burgess, M.D., (R-TX), and Chris Van Hollen (D-MD), could lead to a better understanding of the disease and provide new disease targets. The Advancing Research for Neurological Diseases Act of 2015 (H.R. 292) will offer the Centers for Disease Control and Prevention a guide in collecting information on how many people in the U.S. have MS and their demographic characteristics. This will provide researchers with basic information about the disease that will bring the world closer to freedom from MS. Member organizations of the MS Coalition are: Accelerated Cure Project, the Consortium of MS Centers, Can Do Multiple Sclerosis, the International Organization of MS Nurses, Multiple Sclerosis Association of America, Multiple Sclerosis Foundation, National Multiple Sclerosis Society, and United Spinal Association. Find the Multiple Sclerosis Coalition online at http://ms-coalition.org or visit MSC on Facebook at www.facebook.com/MSCoalition and on Twitter at @MS_Coalition. The Multiple Sclerosis Coalition was founded in 2005 by three independent multiple sclerosis organizations in an effort to work together to benefit individuals with MS. Since that time, the MSC has grown to eight member organizations, all of whom provide critical MS programs and services. The Multiple Sclerosis Coalition’s mission is to increase opportunities for cooperation and provide greater opportunity to leverage the effective use of resources for the benefit of the MS community.